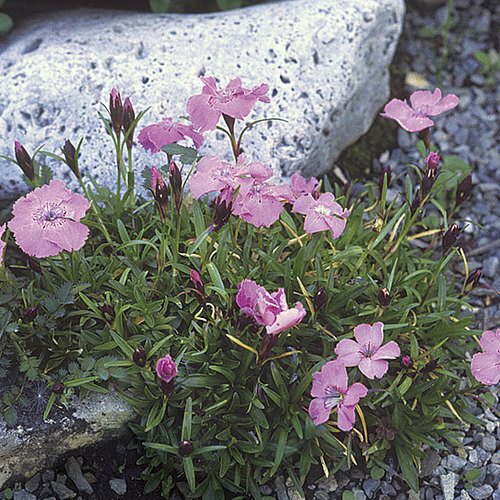 The diverse genus Dianthus includes plants that range from choice alpine species to large cut-flower hybrids, and because of this they are at home in the rock garden, flower border, and formal or informal herb garden. 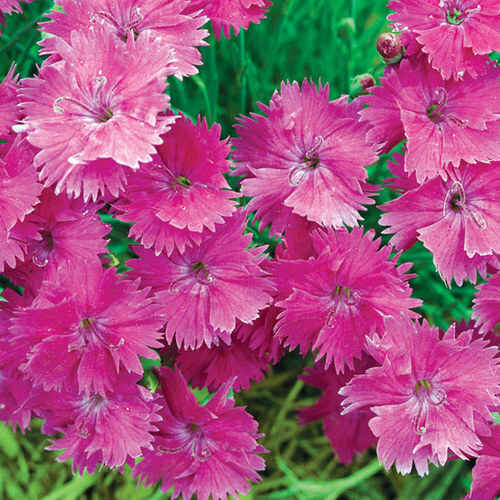 They are grown for their prolific, colorful, disc-like blossoms, many of which are decoratively fringed and sweetly fragrant. 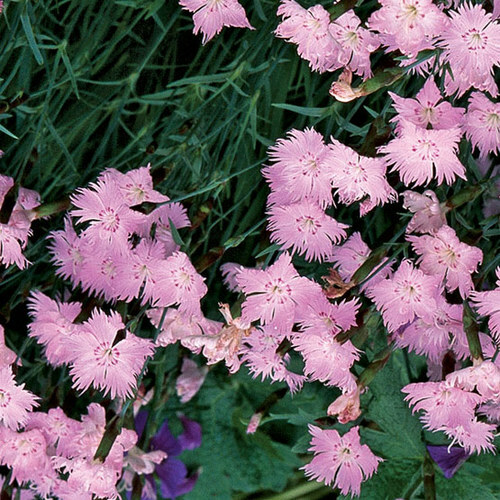 Many have grass-like foliage that adds to their value in the garden. 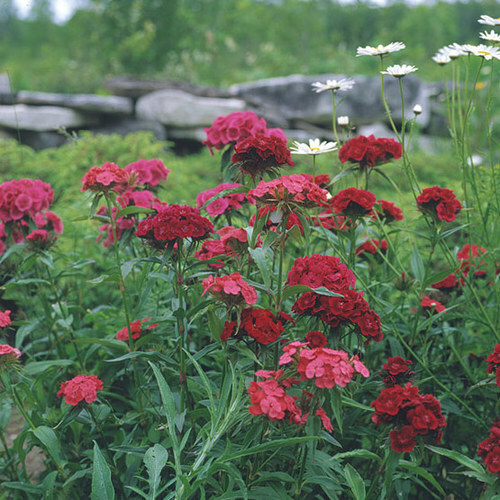 Noteworthy CharacteristicsShowy single and double flowers in white, red, and every shade in between. 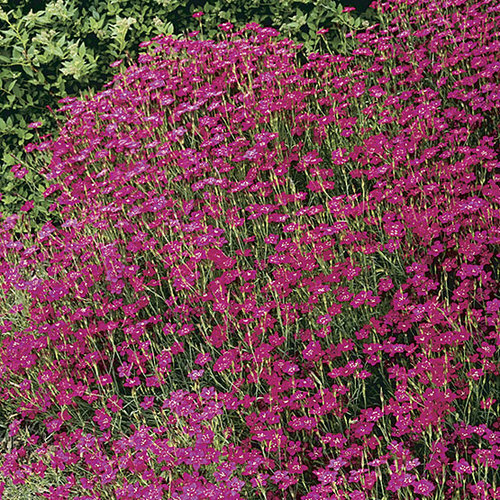 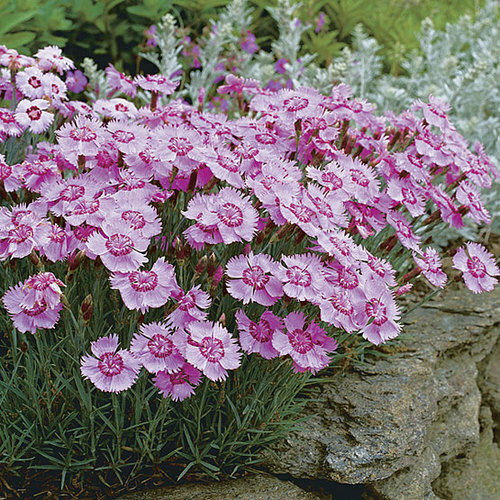 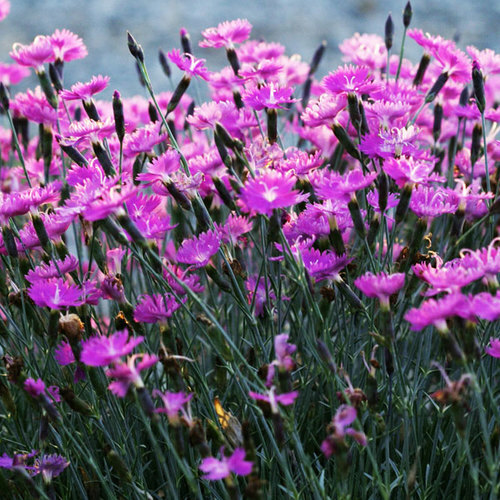 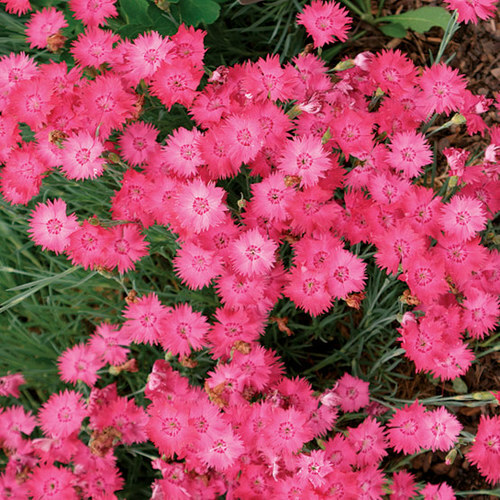 CareDianthus require full sun and sharp drainage. 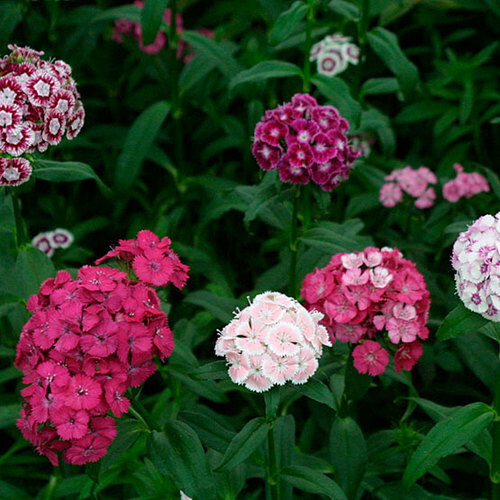 Most prefer neutral to alkaline soil, but a few, acidic soil. 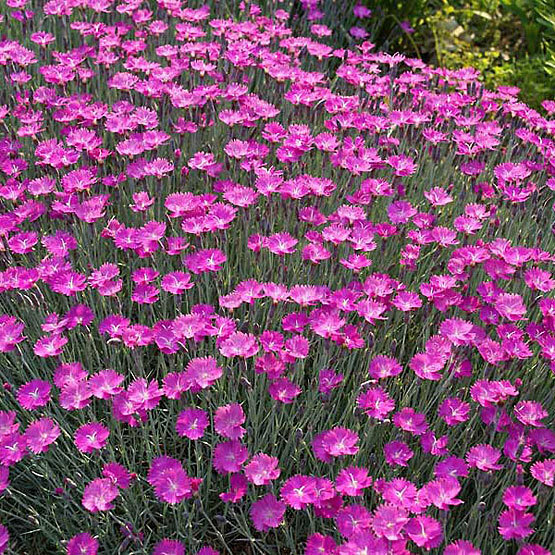 PropagationSow seed in autumn to early spring, seed of biennials in summer. 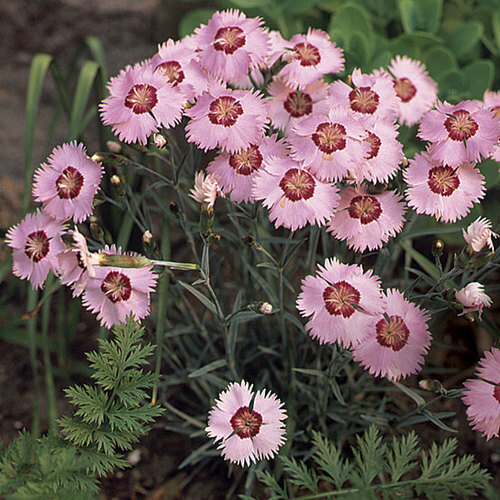 Take cuttings in summer. 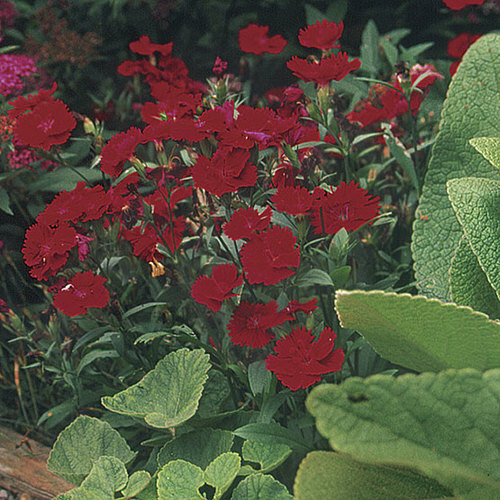 ProblemsCrown rot, slugs, sow bugs, grasshoppers, chipmunks, squirrels.